Chairs are special order, please allow 2-4 weeks for delivery. Does not qualify for free freight. This sewing chair is designed specifically for sewing and quilting use. The Bernina chair will provide the comfort you desire with the proper support for hours of sewing and quilting enjoyment. 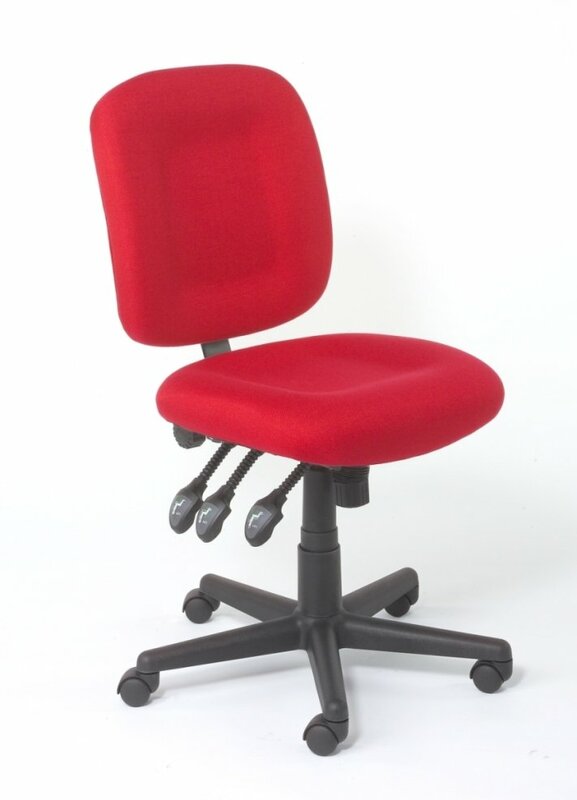 Eliminate fatigue from improper seating that you would get by using a regular desk or office chair. Please note there is a 250lb weight limit on sewing chairs Dimensions: Seat cushion is 21" wide x 19.5" deep Back cushion is 21" wide and 19" tall Height to top of seat cushion is adjustable from 20" to 24"